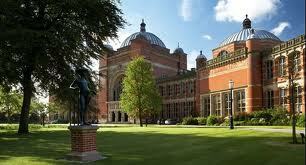 In 2013/14, the University of Birmingham is offering 18 International Postgraduate Scholarships worth £10,000 towards the cost of a one year Masters (Taught or Research) programme. These awards are intended for tuition fees only and cannot be used towards living expenses. Applicants must have an excellent academic background; due to the level of competition for these scholarships, only applicants with a first class Bachelors degree (or equivalent) will be considered. To find out more about how to apply, please review our application procedures. Applications will close on Friday 31 May 2013 for entry in the 13/14 academic year.